What do you do when a local mob boss wants something he believes you have, and will stop at nothing to get it? 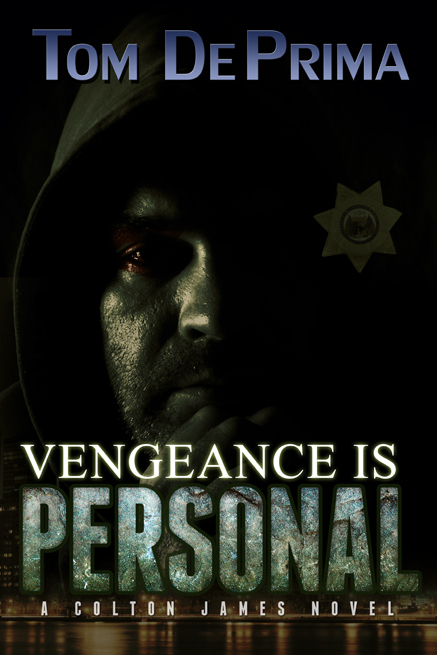 If you're FBI Special Agent Colton James, you already know what has to be done, and will be done. When Delcona's thugs murdered his friends and invaded his home in an effort to kill him, they made it personal. 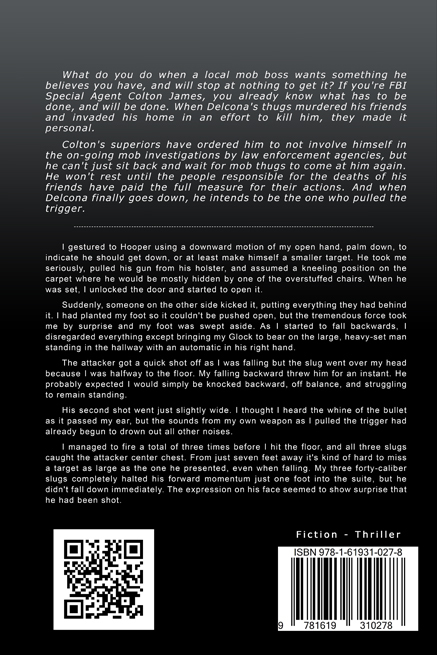 Colton's superiors have ordered him to not involve himself in the on-going mob investigations by law enforcement agencies, but he can't just sit back and wait for mob thugs to come at him again. He won't rest until the people responsible for the deaths of his friends have paid the full measure for their actions. And when Delcona finally goes down, he intends to be the one who pulled the trigger. Colt knows he can't count on any support from the Bureau, so the only answer might be to take a temporary leave of absence. 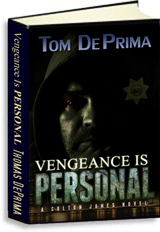 The big question is: how do you exact vengeance with several different government agencies keeping the Delcona mob under round-the-clock surveillance.